On Sunday, Aug. 23, 2009, the KPFA Weekend News produced a report on California state Senate Bill 792. It included the voice of San Francisco’s 3rd District state Sen. Mark Leno, the bill’s author and advocate, and my own, as a San Francisco writer and activist opposed to privatizing any California state parkland. I could not be more opposed to the sale of Candlestick Point State Recreation Area, to Lennar or any other corporation or to the precedent it would set. Nor could I be more opposed to the privatization of state prisons, health and human services, or coastal waters at Tranquillon Ridge off the coast of Santa Barbara, so coveted by oil and gas drillers. I oppose all these ridiculous proposals to privatize the whole state of California in response to the state budget crisis. Eager corporate buyers and many politicians, including most of all Gov. Arnold Schwarzenegger, are using the state budget crisis to push “structural readjustment,” like that which the IMF and World Bank impose on debt strangled Africa, with relentless pressure to privatize every acre of land and every other natural resource, including even fresh water, because, as the IMF and World Bank argue, Africa – now, like California – just can’t afford to own any of its own parks, wildlife preserves or natural resources anymore. In their fight against the push to privatize their state park, Bayview Hunters Point activists are fighting the privatization of California as hard as anyone I know. They’re fighting for all of us, so I hope that other Californians who don’t want to see the whole state on the auction block will contact their Assembly representatives and ask them to vote against Senate Bill 792. Readers can obtain contact information for their California Assembly representative by typing their zip code in on the California state website, Know Your Legislature. I protested to KPFA Weekend News Producer Anthony Fest as soon as I heard Sunday’s broadcast because, by saying that he is “working with the Sierra Club and ARC Ecology” on amending his legislation, Sen. Leno had – intentionally or not – given listeners the false impression that the Sierra Club and ARC Ecology support privatization. On the contrary, both organizations were on the long list of coalition members opposing it, and I had submitted that list to KPFA News. That list also includes Stop Lennar Action Movement (SLAM), People Organized to Win Employment Rights (POWER), San Francisco Bay View newspaper, Caravan for Justice, Idriss Stelley Action and Resource Center, Harvey Milk LGBT Democratic Club, Audubon Society, California Native Plant Society, Chinese Progressive Association, Labor/Community Strategy Center in Los Angeles, San Francisco Green Party and many others. 4) They would, at most, take a neutral stance on an amended SB 792, with boundaries to preserve as much parkland, tideland and native habitat as possible. Since the KPFA Weekend News broadcast, San Francisco’s 12th District Assembly Member Fiona Ma has emerged as SB 792’s advocate, opposing San Francisco’s 13th District Assembly Member Tom Ammiano, who voted no and spoke adamantly against the bill before it passed out of the Assembly Appropriations Committee on a 9 to 2 vote. San Francisco’s other state senator, 8th District Sen. Leland Yee, also voted and argued against the bill before it passed out of the state Senate on June 2. San Francisco Supervisors John Avalos and Chris Daly have proposed a resolution by the San Francisco Board of Supervisors that would instruct the City’s Sacramento lobbyist, Lynn Suter, to argue against the bill. Here’s an audio clip of the KPFA news segment downloaded from the KPFA website and posted to YouTube. “The Sierra Club has not backed the compromise. I can tell you categorically that the Sierra Club will not support SB 792. At most, it would drop opposition. But it will not support a bill that sells off state parkland for development. “The Sierra Club at one time was the only opponent of SB 792 in Sacramento. For a time, we were the only official opponent listed and were the only group walking the halls. Fortunately, that has changed. “Leno asked Michael Cohen to negotiate with us. What Lennar has most recently put on the table is scaling back the land grab of the state park from 42 acres to 22 acres. I personally am not supporting this. So what happens if the state closes a state park? 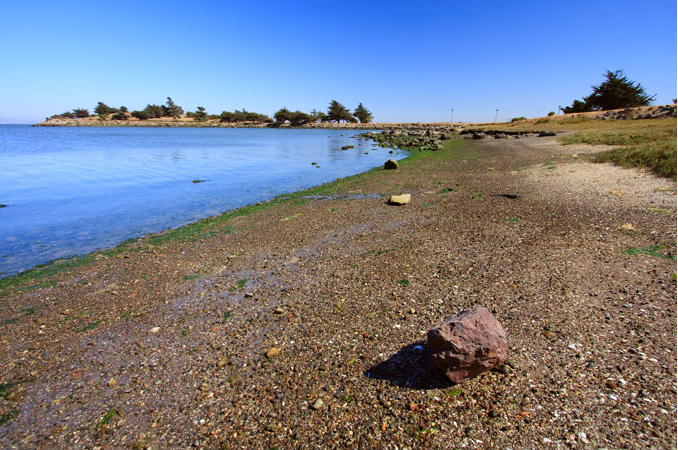 State Sen. Mark Leno argues that we have to privatize the Candlestick Point State Recreation Area because we can’t afford to keep it open or keep it up, but ARC Ecology’s Saul Bloom points out that closing a state park is not like closing a school. Closing a state park means closing the parking lot and the restrooms. It doesn’t mean that the park no longer exists, or that people can’t go hike, picnic or even volunteer to take care of the park themselves anymore. And what happens if the state privatizes a state park? If the state privatizes our Candlestick Point Park, then, as budget crises worsen at every level, what’s next? What’s to stop the privatization of every park in California? The federal government has, since the Reagan era, championed the privatization of everything from prisons to HUD foreclosure counseling, so, if California joins the rush to privatize, how long will it be before we’re told we have to put up with a coal-fired power plant generating electricity for a uranium mining operation in Death Valley National Monument, just like those in Saharan Niger, because otherwise we just can’t afford the park anymore? San Francisco writer and activist Ann Garrison is the energy policy examiner for Examiner.com. She also blogs at ColoredOpinions.blogspot.com, where this story first appeared, and is the website writer-editor of thepriceofuranium.com. She can be reached at anniegarrison@thepriceofuranium.com. It is a shame that some guy, Bill Bailey, in Santa Clara who is known for his supramacist views, actually wrote on a blog known as Santa Clara Plays Fair, that he was happy that the Hunters Point project was moving right along. Check out http://www.missioncitylantern.blogspot.com where we have been attracking Lennar right with you and telling anyone who writes about support the displacement of poor people that they are as much of supramacist as there Kleagle friends.